The video calling market now has all kinds of options. So, it should come as no surprise Skype isn’t the most popular any more. But, that doesn’t mean it’s not continuing to improve. 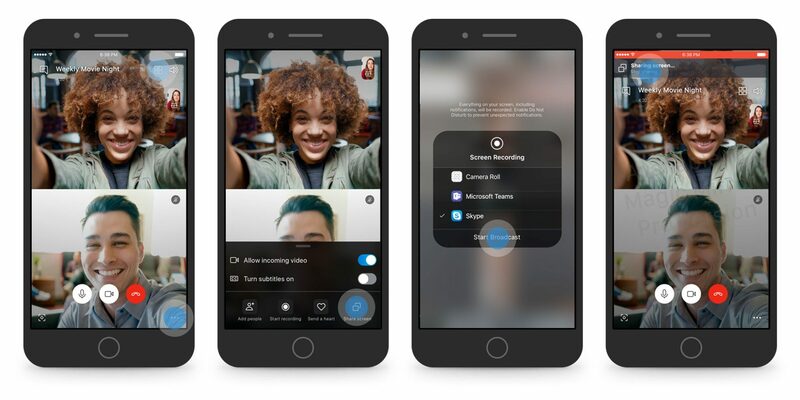 Microsoft, which owns Skype, is now running a beta test which supports screen sharing during video calls. Version 8.43.76.38 of Skype beta allows parties on calls to share screens with one another. It works pretty much like one would think. “Your device is no longer a limitation on getting more done with Skype. With the latest Insider build, you can now share your screen on your Android or iOS device during a call. Simply tap on … and select Share Screen to get started. This could prove useful in a number of situations, particularly in help sessions between elderly relatives and young family members.